The Global Volcanism Program has no activity reports for Bora-Bericcio. The Global Volcanism Program has no Weekly Reports available for Bora-Bericcio. The Global Volcanism Program has no Bulletin Reports available for Bora-Bericcio. The silicic Bora and Bericcio pumice cones are among the most youthful volcanoes of the Ethiopian Rift valley. Bora has a 1.5-km-wide summit crater; the more conical Bericcio is capped by a small summit crater and has a 1-km-wide crater on its S flank. Small silicic pyroclastic cones are found on the E flanks of both. All volcanic products in this area are considered to be Holocene, and there is ongoing vigorous fumarolic activity. Di Paola G M, 1972. The Ethiopian Rift Valley (between 7° 00' and 8° 40' lat north). Bull Volcanol, 36: 517-560. The Global Volcanism Program is not aware of any Holocene eruptions from Bora-Bericcio. If this volcano has had large eruptions (VEI >= 4) prior to 10,000 years ago, information might be found on the Bora-Bericcio page in the LaMEVE (Large Magnitude Explosive Volcanic Eruptions) database, a part of the Volcano Global Risk Identification and Analysis Project (VOGRIPA). Remarks: Deformation is located between Bora-Bericcio and Tullu Moje volcanoes. From: Biggs et al. 2011. Reference List: Biggs et al. 2011. 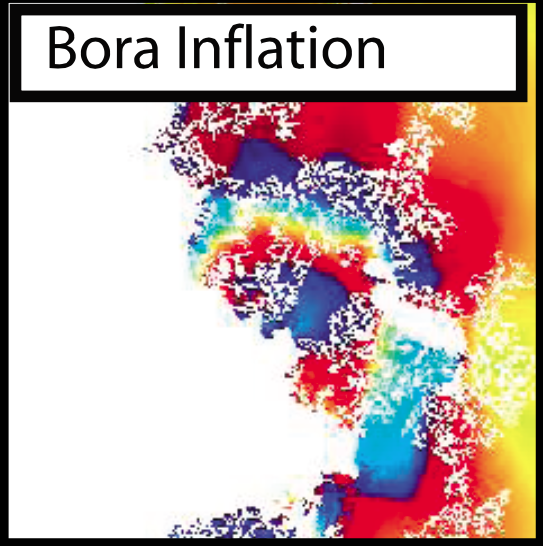 There is no Emissions History data available for Bora-Bericcio. 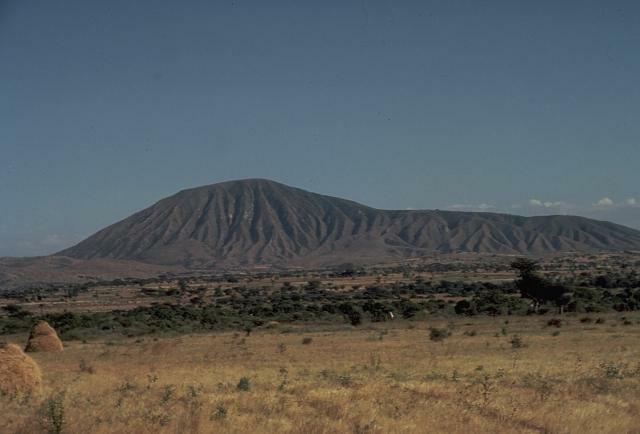 Mount Bericcio, a rhyolitic pumice cone along the Wonji Fault Belt in Ethiopia, is part of the Bora-Bericcio volcanic complex. Produced by the accumulation of rhyolitic pumice around its vent, Bericcio is capped by a small summit crater. Erosion of the unconsolidated pumice has produced parasol-like ribbing on the flanks of the cone. Its twin volcano, Bora, has a 1.5-km-wide summit crater. Small silicic pyroclastic cones are found on the east flanks of both Bora and Bericcio. Vigorous fumarolic activity continues. Photo by Giday Wolde-Gabriel, 1984 (Los Alamos National Laboratory). There are no samples for Bora-Bericcio in the Smithsonian's NMNH Department of Mineral Sciences Rock and Ore collection. Large Eruptions of Bora-Bericcio Information about large Quaternary eruptions (VEI >= 4) is cataloged in the Large Magnitude Explosive Volcanic Eruptions (LaMEVE) database of the Volcano Global Risk Identification and Analysis Project (VOGRIPA).